Guyana has been accorded yet another feature in National Geographic Traveler’s ‘The Cool List’, this time earning a spot in the 2019 iteration of the all-encompassing global list and distinguishing itself as the only Caribbean country and the only South American nation to be featured as one of 19 “must see” destinations of 2019. The accolade also comes at a time when Guyana is asserting itself as a leading tourism destination in the Caribbean, coming in as the top performer in the first quarter of 2018, the Caribbean Tourism Organisation (CTO) said. The ‘Cool List’ focuses on “Everything from futuristic cityscapes and modernist architecture to pristine rainforest and rehabilitated wildlife”. “New flights are opening up this undiscovered gem…Guyana’s main prize is Kaieteur Falls. The largest single-drop waterfall in the world is a beauty, cutting its way through the jungle as the Potaro River falls 741ft before continuing towards the Atlantic,” the article said. Over the years, Guyana has cemented its position as a tourism destination, and has gained international recognition as ‘National Geographic Traveler 2014’s must-see places on planet earth. 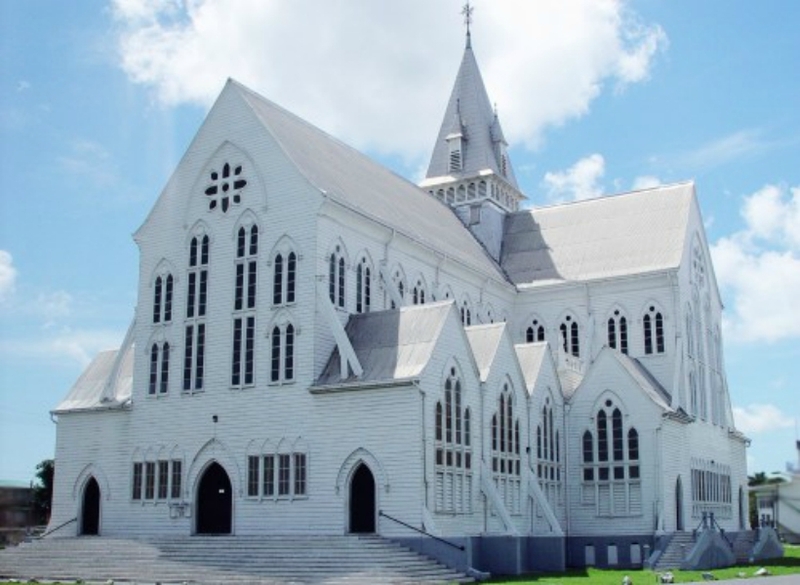 Guyana earned a coveted spot on this exclusive, very short list for the very first time in 2014 and BBC Travel’s ‘Five destinations you should know more about’, among many others. The recent National Geographic Traveler accolade is further proof of the destination’s vibrancy and its lure with its offerings of raw authentic adventure, stunning scenery, and rich culture unique to Guyana. The destination features an irresistible combination of natural beauty; pristine Amazonian rainforests; immense waterfalls; amazing wildlife, blended with a vibrant indigenous culture, rich heritage; and the most hospitable and friendly people in the world. At the onset of the new year, Guyana was also featured in The Sunday Times Newspaper (UK) in an article titled ‘The Guianas’ and in an article on how to visit Kaieteur National Park in Travel + Leisure. Earlier in December too, the country’s famous St. George’s Cathedral was highlighted in Atlas Obscura. “St. George’s Cathedral isn’t all that lofty as churches go, but at 143-feet-tall and made entirely from wood — apart from its foundations — it ranks amongst the tallest wooden churches in the world,” they wrote. Founded in 2009, Atlas Obscura catalogs unusual and obscure travel destinations, and relies heavily on user generated content. Added to this, the Evening Standard (UK) featured Guyana in an article titled ‘25 of the world’s most magical jungle adventures’ late last year. All of the media recognition in Destination Guyana has reportedly been generating an increase in market demand and this upsurge has been noted by the CTO. “The top-performing destinations during this period were Guyana at 18.3 percent, Belize at 17.1 percent, the Cayman Islands at 15.9 percent, Grenada at 10.7 percent and the Bahamas at 10.2 percent,” CTO Chairman, Dominic Fedee, declared.